If there is anything scientists are certain of when it comes to bats and their supposed role in causing human disease, it is that they still have a lot to learn. Aside from well-established things like rabies virus, SARS coronavirus (the virus that causes severe acute respiratory syndrome) and Marburg virus (an extremely dangerous but rare hemorrhagic fever pathogen), bats appear to carry a plethora of other germs with unclear effects, if any, on human health. 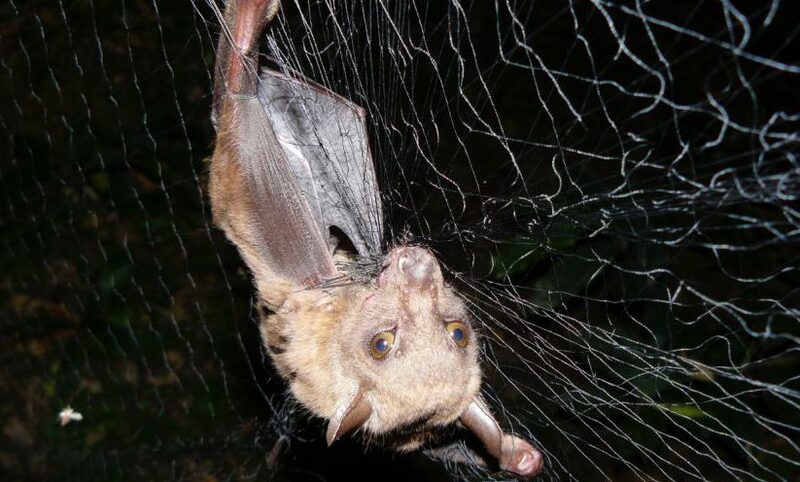 To better understand the dynamics of bats and potential threats to human health, Goldberg and his colleagues explored the relationship of an African forest bat, a novel virus and a parasite. Their work, described in a report published July 13 in Nature Scientific Reports, identifies all three players as potentially new species, at least at the molecular level as determined by their genetic sequences. The parasite in the current study is an eyeless, wingless fly, technically an ectoparasite. It depends on the bat to be both its eyes and wings. And it plays host to a virus, as the current study shows. For the virus, the fly plays the role of chauffeur. “From a virus’s perspective, an ectoparasite is like Uber. It’s a great way to get around – from animal to animal – at minimal expense and effort,” Goldberg explains. The bat in the study belongs to the megabat suborder. It is a fruit bat and was trapped, tested and released by Goldberg’s colleague and study co-author Robert Kityo of Uganda’s Makerere University in Kampala. The subtext of the research, according to Goldberg, is Ebola and the ecology of disease. Scientists are beginning to understand that serious pathogens like Ebola and SARS don’t come out of nowhere. They are already lurking in the environment, and the leap from an animal to a human can be just a matter of time and an organism’s ability to shift from one host to another.